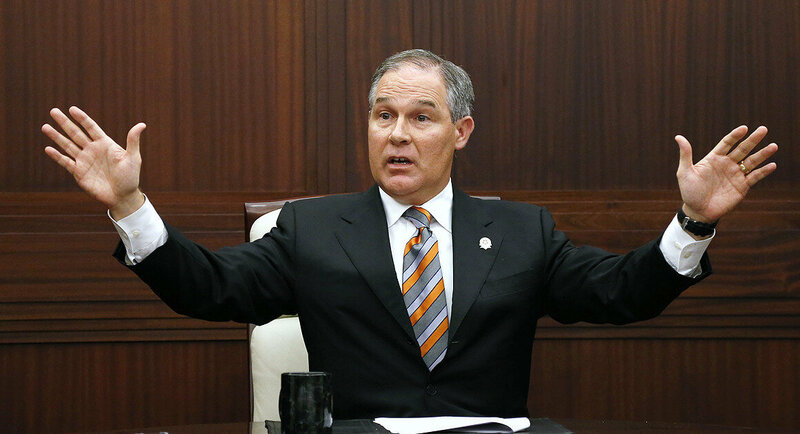 President-elect Donald Trump has selected Oklahoma Attorney General Scott Pruitt to run the Environmental Protection Agency. If you’re even peripherally familiar with Pruitt’s environmental record, you know that this appointment is terrifying. For those who don’t know about Pruitt, here’s the lowdown: he’s the poster boy for valuing polluters’ profits over people. Pruitt does not believe in climate change. During his campaign to run for Attorney General, he received $300,000 in campaign contributions from fossil fuel industries. Then he did their bidding by routinely backing fossil fuel interests over the environmental regulations that would protect people in his state. 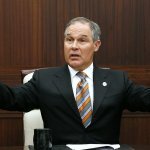 Oklahoma, under Pruitt’s leadership, sued to block the Clean Power Plan – an EPA regulation. In fact, Pruitt has sued the EPA multiple times throughout his career. Have you put the pieces together yet? The incoming administration has selected a climate-denying, anti-environmental industry flunky to lead the very agency he’s sued repeatedly. You can pinch yourself, but you’re not dreaming. This is real. For one, we need to make sure everyone is aware of just how important the Environmental Protection Agency is. Many people do not realize that the EPA goes way beyond protecting the environment – it’s a vital agency that safeguards human health, our fresh water supply, and much more. We need to familiarize ourselves with the agency’s key accomplishments and convince others of just how important the agency is. The head of the EPA is a position that must be confirmed by a vote in the Senate; if constituents let their senators know they oppose this nomination, it could be voted down. First, you should know that the EPA was proposed by President Richard Nixon and began operating in 1970 following an Executive Order he signed. So that right there is an important point: the idea of protecting our environment and human health is not partisan. This agency was a brilliant idea that came to be during a Republican administration and is something that virtually every President, Republican or Democrat, has taken seriously and prioritized as part of their administration. The EPA was born following the public’s increasing concern about environmental pollution. It conducts federal research, monitoring, standard-setting and enforcement activities to ensure environmental protection. Established the Clean Air Act – which has prevented millions of premature deaths by reducing air pollution, reducing health costs by $22 trillion dollars. This has brought us a long way from the day in 1978 when Mets shortstop Jose Oquendo hyperventilated during a bad smog day at Dodgers Stadium. Enforces the Clean Water Act and Safe Water Drinking Act to regulate the quality of our drinking water. The Clean Water Act has brought us a long way since Ohio’s Cuyahoga River caught fire in 1969. Created lead-based paint restrictions in homes, cribs and toys so that babies like yours and mine will not suffer from the devastating developmental defects of lead poisoning. Phased out leaded-gasoline leading to a 77 percent reduction of lead levels in blood. Cleaned up the Great Lakes, which contain 95 percent of America’s fresh water and provide drinking water to 25 million people. Enacted protections to stop chemical dumping in our oceans. Continuously monitors and bans pesticides that cause harm to humans. Oversaw implementation of the Medical Waste Tracking Act after medical and other waste washed up on US beaches. Encourages homeowners to test for radon – a gas that can cause lung cancer. Ruled that hazardous wastes must be treated before they are disposed of on land, preventing toxics from seeping into our water supply. Successfully regulated pollution when acid rain began corroding our bridges, killing trees and damaging water supply. Issued new standards for chemical plants that reduced toxic air pollution by more than half a million tons each year. Protected kids by requiring that schools test for asbestos. Developed a comprehensive plan for addressing climate change, which includes the Clean Power Plan. In addition to these wide-sweeping regulatory accomplishments, the EPA has also historically served as the agency that assists communities when environmental disaster strikes, like the Love Canal disaster in 1978. It was the EPA that was authorized to identify parties responsible for the contamination of sites and compel them clean it up. More recently, the EPA restored air quality monitoring networks destroyed by Hurricane Katrina and assessed air quality in the hurricane-affected area to ensure public safety. When environmental disaster strikes, the EPA is there to ensure that polluters are held accountable, that communities are cared for, and that clean up that is promised actually happens. If Pruitt comes into power, we cannot count on any of this. We will see rollbacks not only when it comes to tackling climate change, but on basic things, like protections of clean air and water. Things that have been in place for so long, for entire lifetimes, that we’ve come to take them for granted. They’re not sure things. We must protect them. Conducted various projects on the Columbia River to reduce toxics and improve water quality. Managed the Columbia River Fish Containment Report to assess chemical pollution in fish and advise when it isn’t safe to eat. Develops and oversees clean up plans for local Superfund sites, like the Portland Harbor Superfund Site and the North Ridge Estates Asbestos Superfund Site. North Ridge is a residential subdivision in Klamath Falls where improper demolition of old buildings left behind asbestos. The EPA is the agency working to ensure that the site gets cleaned up properly, which is essential for the safety of those living in the subdivision. This could happen in any neighborhood, anywhere. What recourse would this community have if the EPA wasn’t there to enforce clean up? Reduced perchlorate in Eastern Oregon (which can lead to hypothyroidism) after it was found in over half of the wells sampled in Oregon’s Lower Umatilla Basin. Regularly fines companies that don’t comply with environmental regulations, like a Portland-based remodeling firm that failed to comply with lead paint regulations. Conducts air quality testing, like that on Hayden Island and in North Portland. Awards research grants to small businesses working to solve environmental issues, like this example in Cottage Grove. This agency can’t go away. A dismantling or weakening of the EPA equates to a dismantling of the 50 years of environmental progress we’ve made. Doing so would leave our health unprotected and cause harm for generations to come. 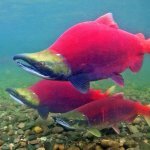 Contact your Senator and urge them to vote NO on Pruitt. 1 Reply to "Just How Essential Is the EPA Anyway?" 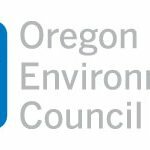 Oregon Environmental Council | Pruitt confirmed head of the EPA – Where do we go from here?